Micromax has finally forayed into the race of introducing 4G LTE network supporting smartphones for Indian market. The new Canvas Knight 2 is Micromax’s first 4G network capable dual-SIM smartphone packed with competitive hardware and priced at INR 16,299 ($261) from June 10. The Canvas Knight successor has been constructed using glass panels at the front and the back while a metal frame runs around the sides. The glass panels are made by Corning Gorilla Glass 3 and at the front there is a 5-inch 720p AMOLED display. The Canvas Knight 2 is powered by an octa-core Qualcomm Snapdragon 615 chipset coupled with 2GB of RAM. The handset supports two 4G network capable SIM cards. Loaded with Android 5.0 Lollipop, Canvas Knight 2 features a 13MP rear snapper with Sony IMX214 CMOS sensor and 5-element lens. At the front there is a 5MP camera with OmniVision OV5648 sensor and a 4-element lens. While the on-board storage hasn’t been specified, the memory card slot can hold up to 32GB microSD card to hold multimedia. Better audio output is promised by the Cirrus Logic Wolfson Stereo WM8998 mobile chipset integrated in the phone. The smartphone is backed by a 2230mAh battery. First Improve Service Than launch new phone. tell about your A350 Night Phone. 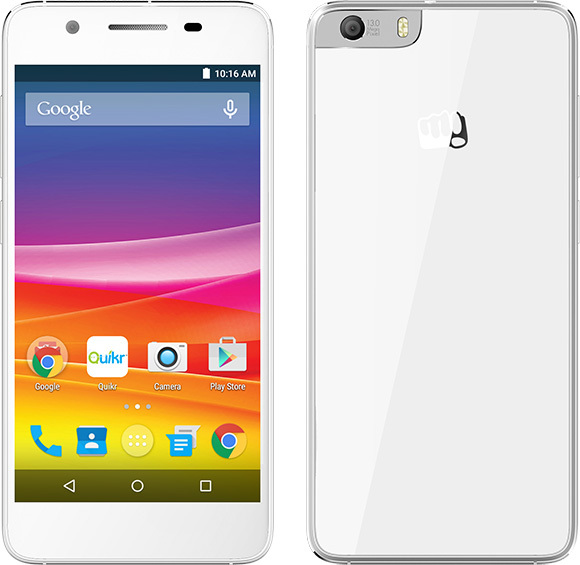 Dear Micromax, Please come up with a high end Top model phones with class/Unbeatable feature. I am Micromax Lover.